2017 Vedic Panchangam for North America Click Here. kÉqÉï LuÉ WûiÉÉå WûÎliÉ kÉqÉÉåï U¤ÉÌiÉ UÍ¤ÉiÉÈ ! iÉxqÉÉ®qÉÉåï lÉ WûliÉurÉÉå qÉÉ lÉÉå kÉqÉÉåï WûiÉÉå uÉkÉÏiÉç !! If dharma is destroyed,it destroyes its destroyer. If dharma is protected, it protects its protector. Life is a cycle of defining moments which see us evolve at every stage. From births, marriages, to the passing of loved ones, each event has its own festivities and ceremony leaving us with fond and precious memories. Samskaras are purificatory rites from the Vedic tradition used for protection of the body and mind. These timeless rituals serve to invoke blessings and auspiciousness at every stage of one’s life- inviting good karma from birth to death. It is unfortunate that in the 21st century, most genuine Vedic ceremonies have been replaced by concocted rituals, due to lack of understanding of the Vedas, hearsay and housewives tales. At www.vadhyar.com, we believe everybody should have the opportunity to have pure and authentic Poojas,Homas,& Samskaras ceremonies even living in the Western countries. 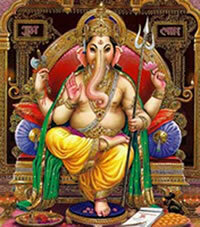 We provide genuine rituals from the ancient scriptures for all Hindu families. The ceremonies are conducted in Sanskrit, and translated in English, and other Indian languages, making the tradition accessible and appealing to all, while re-igniting the flame of Vedic civilization. To achieve Knowledge, Wealth, Health and Peace, Vedas inform us to follow certain principles and perform certain Pujas, Vratams and Samskaras depending on the occasion. We perform various Home and Community Hindu Religious Services for all the occasions(from birth till death) , including but not limited to Marriages, Satya Narayana Vratam(Pooja), Gruha Pravesham[House Warming],Starting new office, Business, etc.. 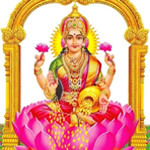 Please feel free to contact us at anytime In India & North America for performing poojas or anykind of clarification or information that you may like to obtain.We will be very happy to serve you. Á xÉuÉïxiÉUiÉÑ SÒaÉÉïÍhÉ xÉuÉÉåïpÉSìÉÍhÉ mÉzrÉiÉ ! xÉuÉïxxÉ¯ÒÎ® qÉÉmlÉÉåiÉÑ xÉuÉïxxÉuÉï§É lÉlSiÉÑ !! We strive to improve what we do and how we do it. Your Feedback is valuable to us. Please drop us a line.